A crisp broccoli bite coated in a purple carrot crumb. Perfect to share, for dips and as a side. 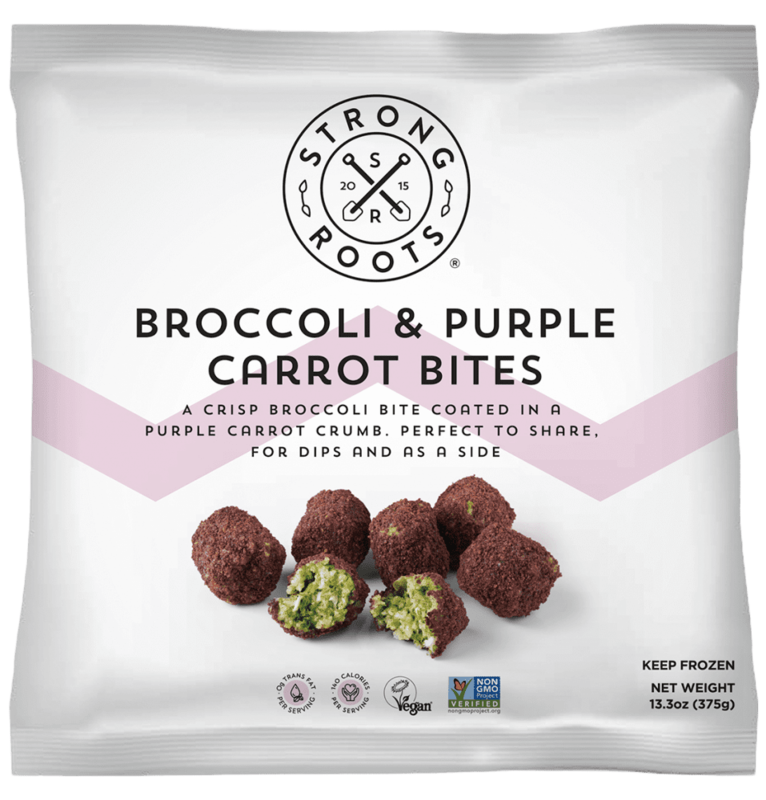 These tasty Broccoli & Purple Carrot bites are made from broccoli, cauliflower and covered in a purple carrot crumb. With a firm outer coating and a vibrant green filling, these bites are a colorful, tasty, plant-based option for lunch, dinner or just as a snack. 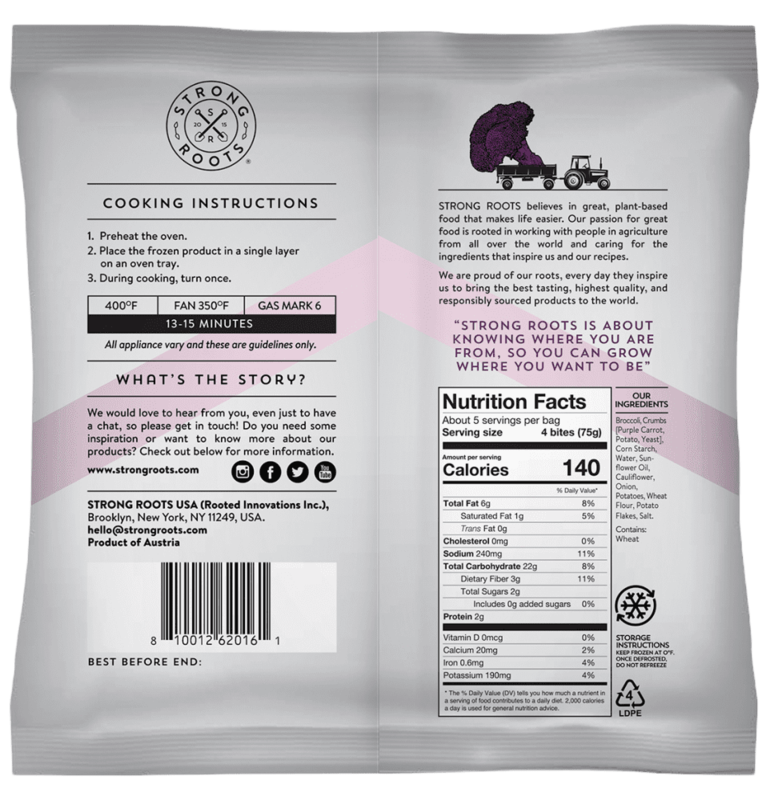 Broccoli, Crumbs [Purple Carrot, Potato, Yeast], Corn Starch, Water, Sunflower Oil, Cauliflower, Onion, Potatoes, Wheat Flour, Potato Flakes, Salt.